Find a pre-vetted advertising freelancer for any task within your business. Ready to invest earnings into Google Adwords? Add a top level Adwords specialist to start, manage, and optimize your ad campaigns. Looking to drive potential customers from Facebook to your website or landing pages? Don’t let just anyone run your ads. Hire a Facebook Ad expert to fully optimize the money you’re spending. Want to increase your product sales on Amazon? Amazon PPC ads are becoming a major factor in increasing rankings, driving eyeballs, and converting sales. Sign up to join the FreeeUp community for free. Gain immediate access to top tier advertising freelancers. Submit a request for the advertising freelancer you need. We'll introduce you to a match within 1 business day. Interview the freelancer for 15-20 minutes. Hire the best advertising specialist for your business. 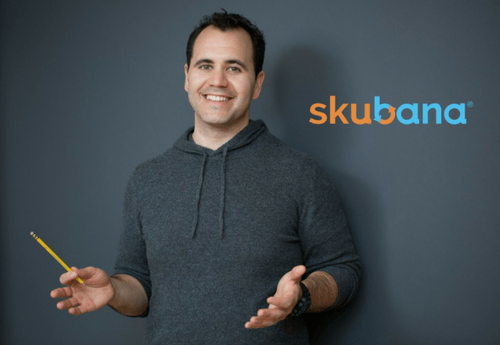 Chad Rubin, CEO of Skubana, loves using FreeeUp for his hiring needs.